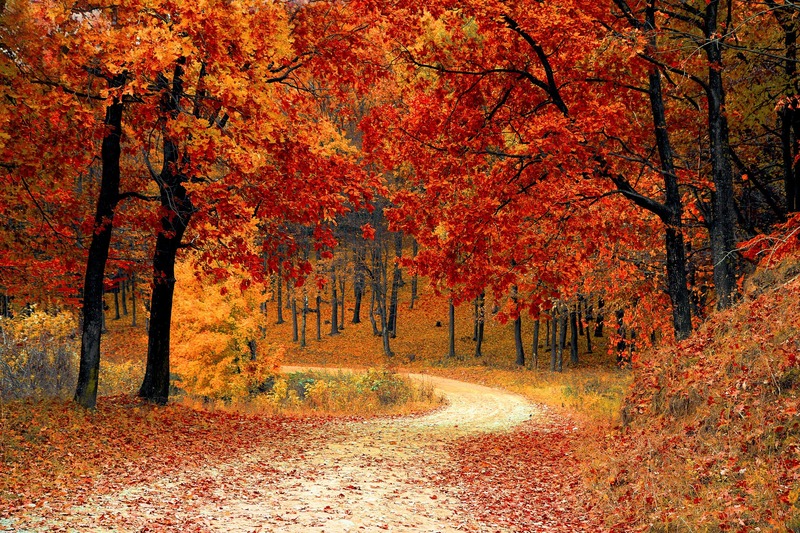 While we love all of the seasons, there is certainly a special place in our hearts for fall. There’s something wonderful about living in the northeastern part of the US and getting the only true fall season in the country. Leaves change to brilliant colors, temperatures cool, and fair and festival season slowly comes to a close while everyone takes a breather before the holiday seasons start. Some of our favorite fall things? You know what state has all of these things? Ohio. Ohio is full of fun activities for families and people of all ages during this time of year, and here are just a few highlights we’ve picked out for you! It’s the invasion of the barbarians with turkey leg eating contests, tests of strength, and more! 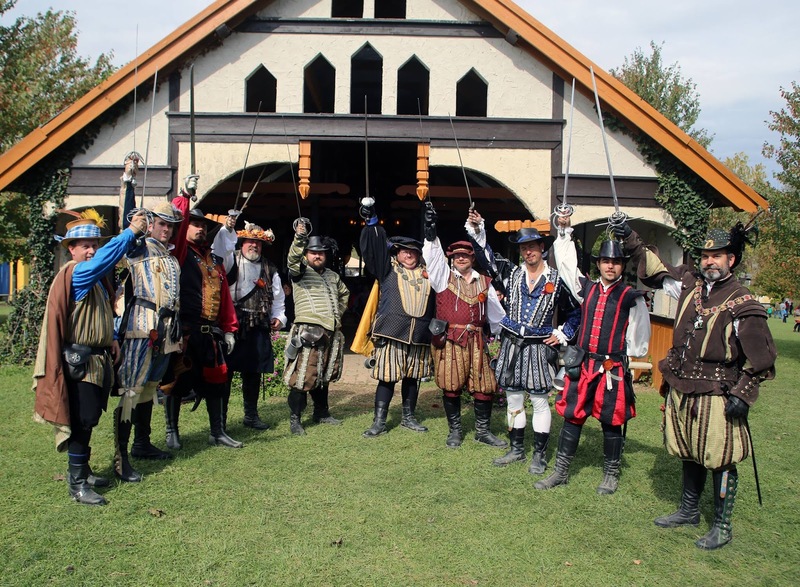 Come to the faire with your sweetheart for Romance weekend. Are you a man who looks and feels confident in tights? You can enter the “Men in Tights’ contest to see if you look best in them! If you’re married, there is also a free, mass-renewal of vows ceremony at the on-site chapel for you and your partner to reaffirm your love and devotion to each other. For the last weekend of the festivities, kids 12 and under get in free! While kids can trick-or-treat around the castle, pumpkin decorating, and a costume contest, there is also a costume contest for adults. For many people fall=pumpkin, whether it’s pumpkin-carving for Halloween, colorful seasonal decorations, or pumpkin and pumpkin-spice-flavored-everything, these gourds are nearly synonymous with the season. 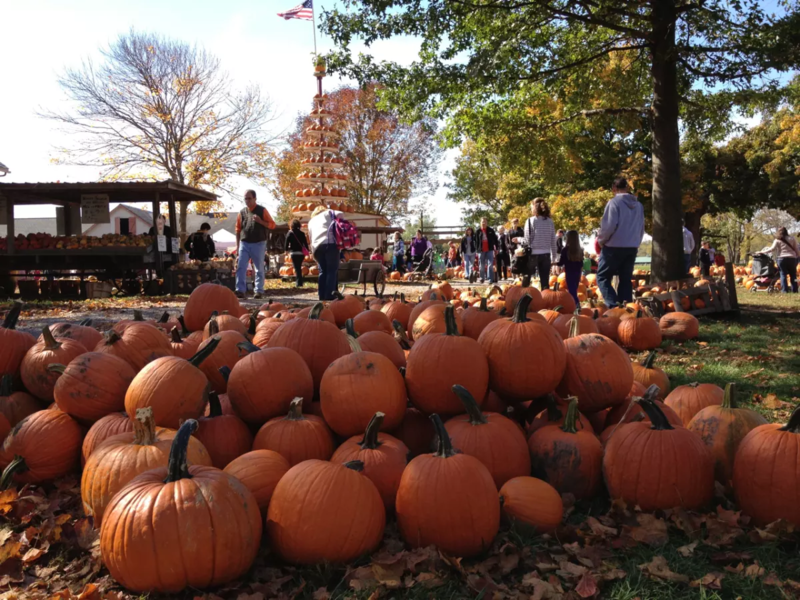 So if you need your pumpkin fix, the Circleville Pumpkin Show is the place to do that! 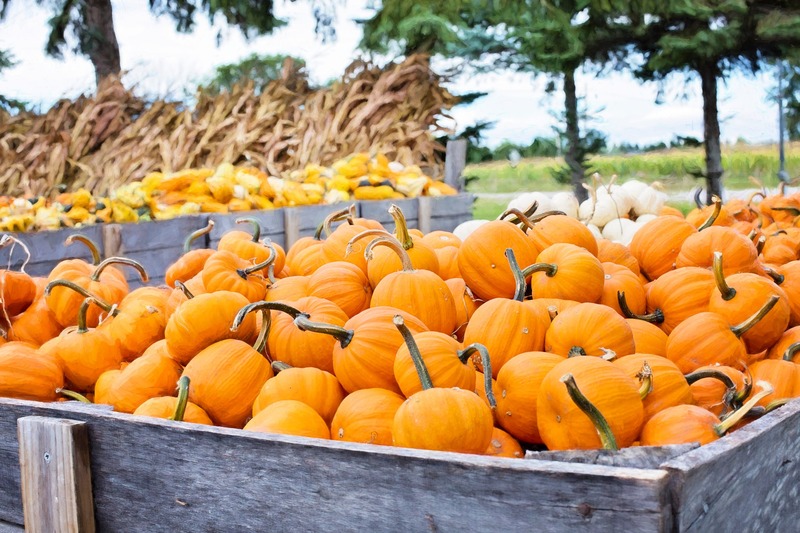 It’s one of the nation’s largest and oldest continual pumpkin festivals (dating back to 1903! ), and we’re not kidding when we say you can get pumpkin everything there: pumpkin pies, ice creams, bread, drinks, and so much more. There is a pageant, seven parades, rides, games, activities, entertainment, and more. How big can a big pumpkin get? Well, last year, the largest pumpkin weighed 1,701 lbs!! Ready to pick the pumpkin that will become your Halloween jack-o-lantern? You can do that here, as well as buy any decorative varieties that can often last until Thanksgiving. Other activities include live music performances by both local and touring bands, various farm/fair-style contests, storytelling, races, and more. Regardless of the many activities vying for your attention, you’ll always know what the gourd of the hour is. The emphasis begins early the first day with the Giant Pumpkin Weigh In on Main Street. If you’re thinking of bringing that nicely matured 80 lb. orange globe from your garden to enter in the competition, forget about it. These pumpkins are trucked in, usually one at a time, and off-loaded with heavy equipment. Behemoths weighing 400 to 500 pounds are as common as Thanksgiving pies, and Dr. Robert Liggett, who has won several times, set the record in 2004 with a prodigious contribution from his special patch tipping the scales at 1353 pounds. Holy jumpin Jehoshaphat! In 1946, seeing that their fair was growing by leaps and bounds, the citizens of Circleville formed a non-profit corporation exclusively for the operation of the pumpkin show. The show is self-supporting, with all profits turned over to the city for community projects. Their mission statement—pointing proudly to the “no gate, no ticket” policy—can be summed up with intent to promote goodwill among Pickaway county residents and all who visit—of which the perennial success seems self evident. Dates: Tuesday, October 17th-Saturday, October 21st; The first day, festivities begin at 5pm when the rides and concession stands open, and times differ each successive day after that. Be sure to check their schedule online to make sure you don’t miss any events you’d like to see! 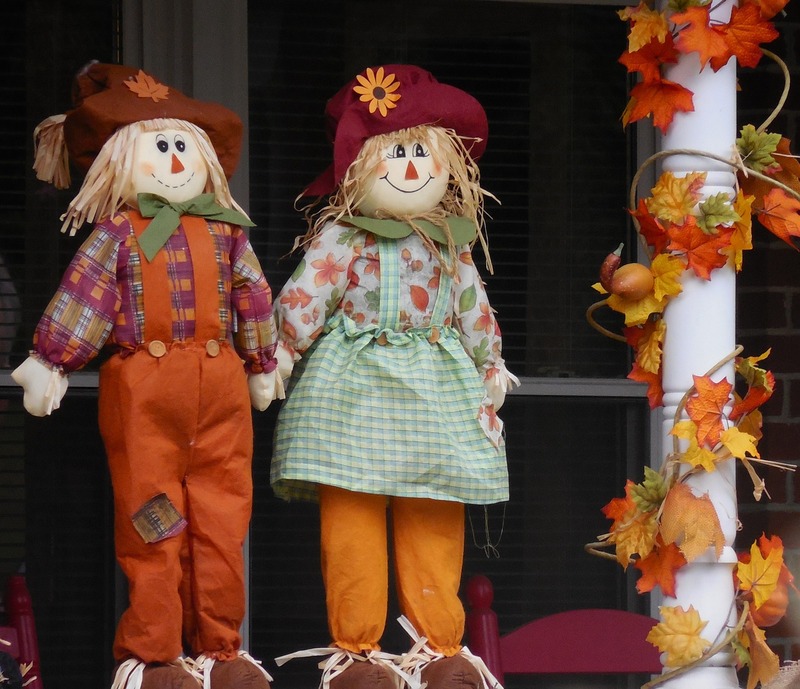 Every fall, a Scarecrow Invasion happens in the Garden at Robbins Hunter Museum in Granville, OH. During this time, the classic garden and lawn of this historic house-museum becomes filled with more than a dozen figures made by elementary students at Welsh Hills School. The students select a theme: in the past it has been Presidential candidates, Mark Twain characters, American Icons. The event is free and open to the public, as are tours of the house, so be sure to set aside some extra time to explore the historic estate and learn about what Victorian-era life was like in the fall in Ohio. The house itself was a private residence until the 1970s, when the then-owner finally finished acquiring his collection of period-accurate antiques to furnish the house with. We like Grove City on this blog (see a bunch of other fun things to do there), and every year, the Circle Farms host the Fall Fun Days Harvest Festival. This event runs from late September until October 31st and includes full days of fun. The festival features hayrides to a pumpkin patch where you can pick your own pumpkin, a huge six-acre corn maze, a (slightly) smaller sunflower maze, a Hay Barn with a fun center including slides, a Scarecrow Cave, Fodder Lane, petting zoo, weekend entertainment, and more! We don’t know what the Scarecrow Cave actually is, but we are intrigued! In addition, you can purchase fresh seasonal food and beverages at the farm market or at the Pumpkin Cafe on weekends. Private hayrides with bonfire parties are available. There is a full service bakery with many tasty treats including freshly made donuts of all kinds. On the weekends the Pumpkin Cafe is open. Group reservations are requested and walk-ins are welcome. Fall Foliage Trains at Hocking Valley Scenic Railway. For this train ride, you make the 22-mile round trip to Logan, Ohio and back: a leisurely ride along the Hocking River and Appalachian foothills providing great family-friendly entertainment. You have the choice of riding in either a 1920’s commuter coach or open air cars. Like history? Maybe the commuter coach is a good idea, but the open air cars offer a slightly better view. There’s also first-class service in a restored B&O coach complete with air-conditioning. The most frequently used engine is a diesel locomotive built in 1952, and the interesting history of the area and the railway are highlighted by the conductor’s narrative as the train passes by a variety of uniquely Ohio locations including: canal lock, historic old company towns, and other landmarks while following the Hocking River through rolling hills filled with natural fall splendor.During the trips, passengers have an opportunity to step off the train and back into time at Robbins Crossing. At this 1840s village, cooking from the nearby wood stoves wafts out to you, while clanking rings out from the fully-operational blacksmith shop. Ladies in period-dress are busy candle making and spinning yarn. Folks gather on porches for some old-fashioned Appalachian-style music dancing off instruments of Yesteryear.Open Fall Foliage Trains are offered on Thursdays and Fridays in October in addition to the regular Saturday and Sunday Schedule at 1:00 p.m. and last about 2 ¼ hours, including the 30-minute stop at Robbins Crossing. While all of these options are fairly cheap, we know that sometimes you just want to take a day away from everything while also saving some cash. So of course, there’s always the option to just take a stroll through the park to admire the leaves. 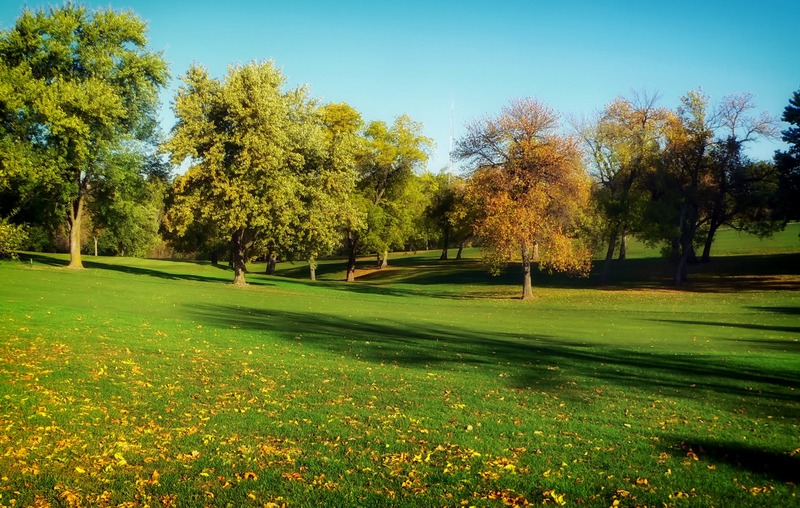 Ohio is known for its parks, whether national, state, or municipal, and there are plenty of places to enjoy the beauty of nature. For this, we suggest any of the Scioto Way parks throughout Columbus for those who are located in or close to this city. Some larger parks include Hocking Hills State Park (which you saw mentioned above with the train rides! ), Harrison Lake State Park, and Pike Lake State Park. Because these are all state parks, they’re much larger, with many more trees/forest area available to hike and sightsee, and best of all, they’re totally free! Take a day trip to your nearest park for fall in its most natural form. For a continually-updating list on the status of the leaves, you can check trekohio.com.